But then I thought, how many people actually read emails that come in from LinkedIn. What were the chances that the request would go unseen, thus unanswered? 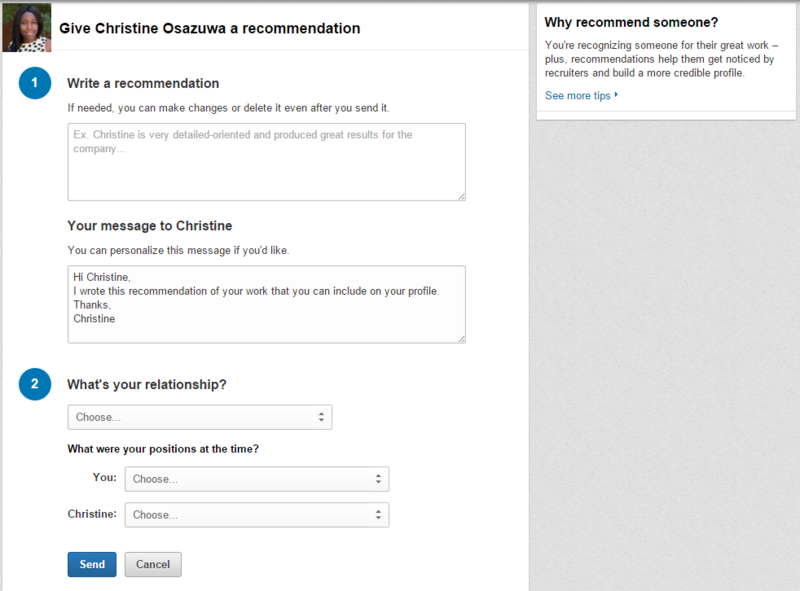 So I thought there must be a way to just send someone a direct link to recommend me via email. 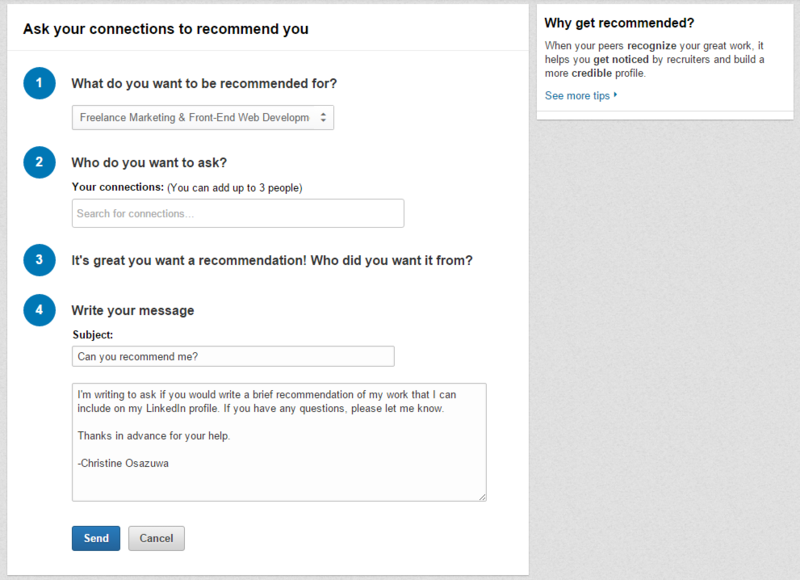 Under, “Would you like to recommend?”, right click and get the URL of the link: “Recommend YOURNAME”. 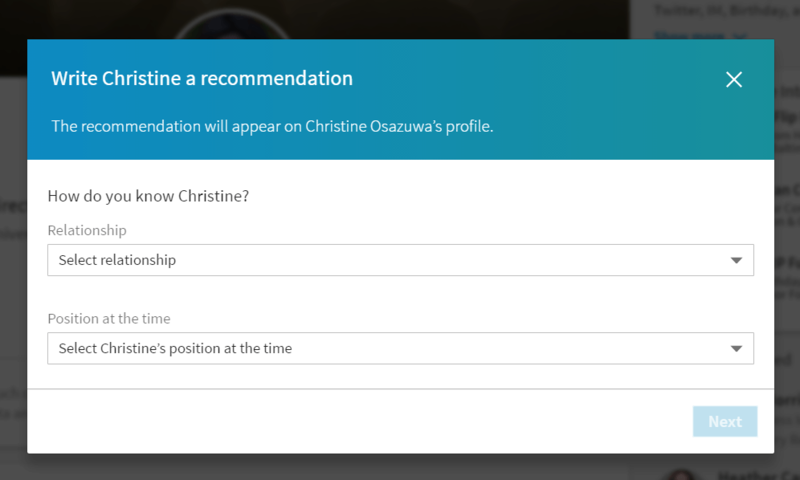 Use that URL to construct an email to your desired recommended (make sure you’re connected to them on LinkedIn). Thanks, Ethan Anderson for letting me know about the update!